Want Free Access to Chase Austin Pics & Clips? The chiseled Chase Austin is an actor best known for his work on Major Crimes, The Player, and Mighty Med. Chase was born on April 10, 1993 in Clearwater, Florida and made his professional debut at the young age of twelve in To Kill A Mockingbird at the Asolo Repertory Theatre in Sarasota, Florida. Chase moved to Los Angeles where he attended the Los Angeles County High School for the Arts. In his three years at the school, he also earned parts on TV series such as Traffic Light, SouthLAnd, and House, M.D. Chase gets naked for his role as Preston in Soledad (2014). Chase appears on a medical exam table with his beautiful bum on display. 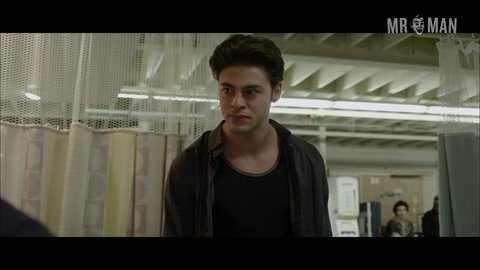 Chase’s character is in the hospital, and maybe we’d better get to the doctor too because the sight of his bangin’ booty is making our temperatures rise!